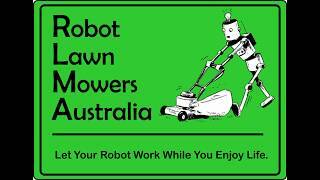 Automatic or Robot Lawnmowers are finally here and set to stay in Australia. 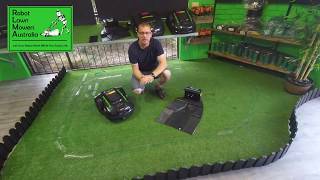 Our range of Robot Lawn Mowers have been selected to cover lawns from up to 800m2 through to 3600m2 and have been thoroughly tested in our climate here in Brisbane. 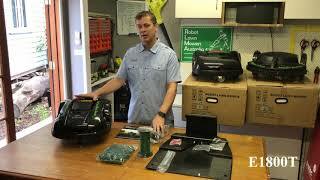 Robot Vacuum Cleaners have been around in Australia for many years and it is now time for their big brother to show you what they can do. 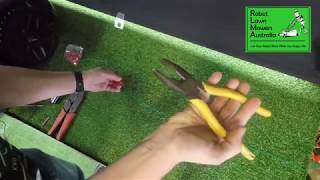 All of our Robot Lawn Mowers have a perimeter wire to ensure they stay in their designated area and take only a couple of hours to set up and forget about mowing again. They will return home for charging and delay the mow if it’s raining. 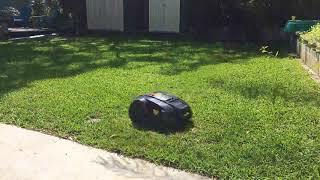 With the ability to set perimeters around anything, such as island gardens or trees, you can set our mowers up on just about any property. 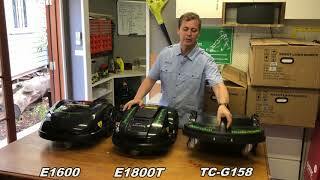 Our E1600 and E1800 are fully programable with Wi-Fi enabled technology and can mow up to 6 separate zones at different times and intervals. Great for your lawns as well as they mulch the cuttings back into the lawn and promote new growth more regularly than conventional mowing. 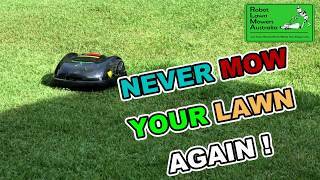 Robot Lawn Mowers Australia are here to help you to not have to mow your lawn or worry about whether your Automatic Lawn Mower is going to do the job correctly ever again. 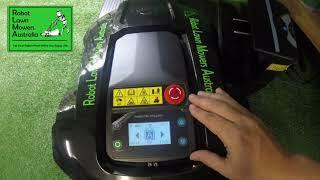 We will help to choose the right Robot Lawn Mower for your property and assist you with setting it up. We can also provide reliable contacts to set the whole thing up for you so you don’t have to lift a finger. 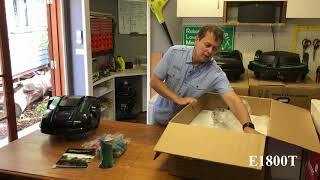 After your set up, we will be here for you if anything goes wrong or you have any questions. 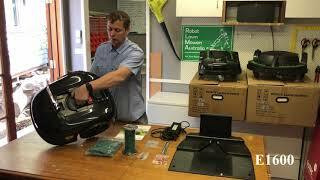 We can provide servicing and repairs as well as replacement parts as you require them, with most parts being in stock here in Brisbane. Basically we're not going anywhere, and are only here to ensure all of our customers are happily doing something else other than mowing their lawn. All our products are tested thoroughly in-house to ensure the very best technology and quality products come to you. 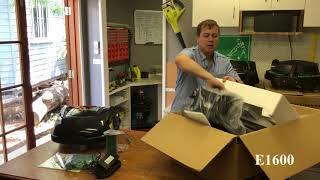 Prior to dispatch every Robot Lawn Mower is setup on our test track and thoroughly tested through each function and checked for the latest firmware upgrade. Our customers are our business, so we are committed to outstanding services from pre-sales through to after sales servicing. If your not satisfied with anything in our business please tell us so we can improve our service. 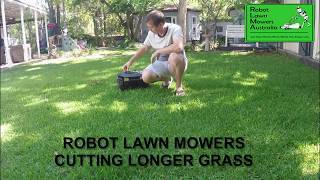 Robot Lawn Mowers Australia has selected a reliable manufacturer that can provide their products at an affordable price for the general Australian public. Our aim is to provide these products to the market at a very competitive price with the comfort and security of being purchased from an Australian company. 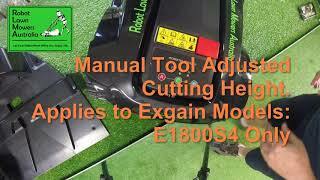 Our range of Robot Lawn Mowers provides options for customers looking for low tech or high tech equipment. 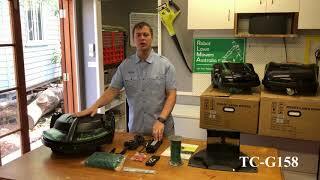 Our TC- G158 is low tech with a hand held remote for operation. Our E1600 and E1800 have all of the bells and whistles to enable WiFi connectivity and fully programmable features. This high tech range is competitive with other manufacturers in the market.